Blake Weston was born in 1987. He grew up in the state of Alabama in an atmosphere full of music; his grandmother was a Baptist choir director and spent most of the time with him singing and playing the piano. At the age of 12, after hearing the sound of the clarinet on the radio for the first time he knew that this instrument was his. He learned only autodidactically during his high school years and was accepted after auditioning at the age of 17 to the Conservatory of Amsterdam. He studied with Hans Colbers for six years and completed his bachelor and master’s degrees with distinction. Weston has been coached by many world-famous musicians such as Willem Brons, Anthony Spiri, Sabine Meyer and Nobuko Imai and participated in masterclasses with Richard Stolzman, Karl Leister, Ralph Manno, Joan-Enric Lluna, Antony Pay, Matthias Müller and Jörg Widmann. In 2011 Blake moved to Cologne, Germany to study at the Conservatory of Cologne with Ralph Manno. In February 2014 he completed another master’s degree with distinction. 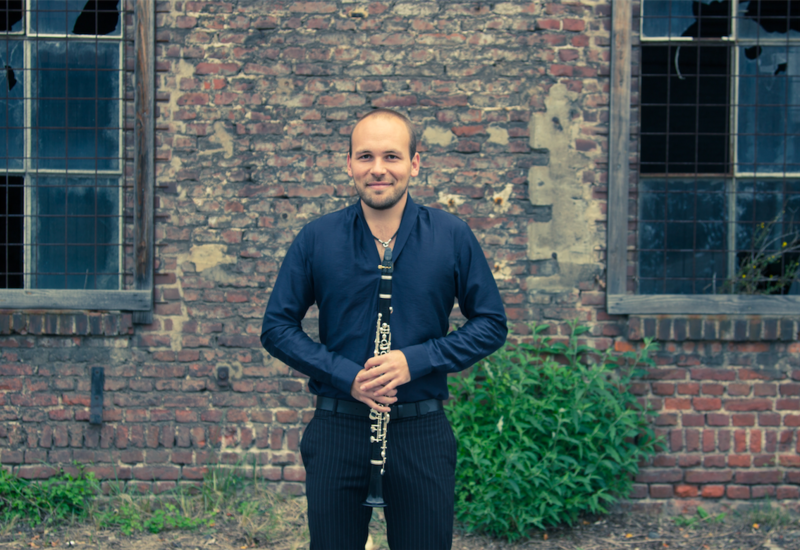 In 2010 he won the second prize in the international competition “Marco Fiorindo” in Italy and in 2011 he won the Jury-prize in the Grachtenfestival competition in Amsterdam. Weston has worked together with members of the Royal Concertgebouw Orchestra, the Tokyo Philharmonic Orchestra and the WDR Symphony orchestra is numerous chamber music concerts and recordings. In 2008 he organized a tour through the Southeast U.S.A. with his trio “the New World Ensemble” and appeared often on television in the U.S.A. and in Europe. In 2009 he traveled to Japan with Violist Saeko Oguma where he played in the country’s most famous halls. In 2011 he was invited back to Japan, this time for concerts and to give a masterclass at the Kunitachi University of the Arts. In 2012-2013 he was “artist-in-residence” with the Dutch National Touring Opera. He was invited by Lothar Zagrosek in 2013 to tour Brazil with the “Young-Euro-Classics Ensemble Brazil-Germany” where he gave 14 concerts in 12 cities. He is still a member of this ensemble, with which he played again in 2014, working together with the Bundesjugendballet under the direction of Kevin Haigen and Lutz Köhler for another tour in Brazil. He was recognized by the American ambassadors in the Netherlands and in Brazil for his artistic achievement abroad. In his spare time, Blake likes to travel and get to know the many people and cultures of the world. He loves cooking exotic dishes and speaks fluent English, German, Dutch, Spanish and Portuguese.